QUITO, Aug 24 2013 (IPS) - The Ecuadorean government’s decision to allow oil drilling in the Yasuní National Park, one of the most biodiverse areas of the planet, has caused alarm among environmentalists and indigenous people, who are calling for a referendum on the issue. President Rafael Correa ordered the shelving of the Yasuní-ITT Initiative, a plan to leave oil reserves underground in the Amazon rainforest park in return for international compensation. He complained that only 13.3 million dollars were contributed by companies, individuals and countries to a trust fund administered by the United Nations since 2007, towards a final goal of 3.6 billion dollars. The decision announced Aug. 15 gives the state-run oil company Petroamazonas the green light to commence exploration in up to one percent of the area of the park, according to the decree that ended the Yasuní-ITT Initiative. Karen Orenstein, international policy analyst with Friends of the Earth U.S., told IPS “the fact that developed countries haven’t fulfilled their end of the bargain is not at all a surprise. “One needs to look no further than the virtually empty coffers of the world’s newest multilateral climate fund – the U.N.’s Green Climate Fund – to see that rich countries don’t put their money where their mouths are when it comes to providing funds for developing countries to confront the climate crisis caused by developed countries. Industrialised nations agreed to donate 100 billion dollars a year in private and public financing to the Green Climate Fund, set up by the U.N. in 2010 to help developing countries mitigate and adapt to climate change. The Fund has established a secretariat in South Korea and is to be operational by the end of 2014. But fundraising has been extremely slow, and most of the hard contributions to date have gone to start-up costs. Nevertheless, some are hoping for significant pledges at the end of the year, when the Conference of the Parties to the U.N. Framework Convention on Climate Change (COP 19) will be held in Warsaw. Over and above the financial issues, “Petroleum extraction in Yasuní National Park would be a slap in the face to the environmental and social movements – in Ecuador and worldwide – that have championed this initiative,” Orenstein said. Opponents warn of the effects on the fauna, flora, and native peoples in voluntary isolation – the Tagaeri and the Taromenane – if drilling goes ahead in Ecuador’s largest protected area, covering 982,000 hectares. On Thursday Aug. 22, the Confederation of Indigenous Nationalities (CONAIE), the Confederation of Peoples of Kichwa Nationality (ECUARUNARI), the Confederation of University Students, and environmental organisations like Acción Ecológica presented a proposal for a referendum to the Constitutional Court. They will need to collect 584,000 signatures – five percent of all registered voters in this country of 15 million people – in support of the petition. President Correa urged people to collect signatures, and said he was sure that his own proposal to extract crude from Yasuní, for the purpose of boosting public expenditure, would win in a referendum. The government says an area of less than one-thousandth of Yasuní park, situated in the north of the country, will be affected. It also claims the isolated native communities will not be impacted, since the fields to be exploited (Ishpingo, Tambococha and Tiputini – the ITT) are far from the area declared the “untouchable zone”, where they live. José Lema, the president of the association of geological engineers of Ecuador, told IPS that it is possible that oil could be extracted as the government proposes. 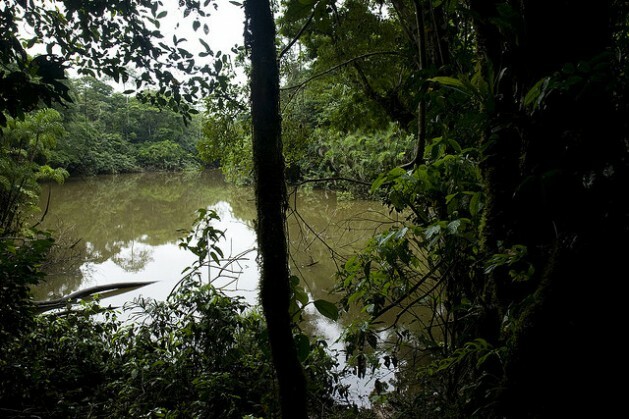 He cited the work Petroamazonas is doing in the Pañacocha field, located in another nature reserve in the north of the country, which has received international recognition for environmental best practices. “Petroamazonas is carrying out similar work there, and it has had only temporary impacts while building the oil pipeline,” he said. The expert believes the first thing to be done is to carry out a new assessment of the area in order to redesign the drilling plan. “There may be changes, because the methodology that was first used (in 1993) was a two-dimensional seismic survey…that determined reserves of 920 million barrels of crude,” he said. “But once more detailed information is available, there will be a more precise volume assessment, which will no doubt be greater than the original estimate,” he said. In Lema´s view, the main task will be to adapt the oil rigs that are already in the park, and to bring in equipment for the installation. Then the wells will have to be drilled and the oil pipeline built. “Every project creates disturbances; the aim is to reduce them as much as possible by using the best technology,” he said. Wilson Pástor, a former minister of non-renewable resources in the left-leaning administration of Correa, who took office in 2007, says the concerns are unfounded because oil is already being extracted in the park. “Block 31, which was explored by (Brazilian oil company) Petrobras and now belongs to Petroamazonas, is located within the park,” he said. He also noted that the Pañacocha field produces 18,000 barrels per day, but the crude is not processed in any way within the protected area. “The same approach will be used with ITT, since there are already seven oil rigs in the area,” and cluster wells will be drilled. “Previously, one well per platform would be drilled, but now 25 wells are drilled from each rig, occupying less space,” he said. He added that electricity will not be generated in the field and the oil pipeline will not affect the park, as it will be buried in a trench three metres wide filled with biodegradable material. The former minister also said that oil exploitation would have an additional benefit for the park. “Today, the Yasuní lacks strong institutions to control access to the park, but if Petroamazonas begins work here there will be resources to protect it,” he said. According to government forecasts, the Tiputini field will produce its first barrels of crude in two years’ time, Tambococha 12 months later, and Ishpingo a year after that. But civil society organisations are not convinced by the arguments put forward by Correa and his government. María Paula Romo, of the left-wing party Ruptura 25, who is a former member of the constituent assembly that rewrote the constitution, argues that the government is violating article 57 of the constitution, which bans extraction activities in the territories of isolated peoples. The justice minister, Lenín Lara, said there are no isolated communities in the oilfields where drilling is planned. But environmental experts and academics refute this claim. “The Taromenane are hemmed in on every side. And even if the work is done with the best technology, pressure is going to be put on these peoples,” said journalist and filmmaker Carlos Andrés Vera. With reporting by Carey L. Biron in Washington, D.C.